An Ombudsman Office is not a need at the moment, said the National Council. The Anti-Corruption Committee (ACC) had proposed for an establishment of an independent body to deal with administrative grievances. The National Council recommended ACC to collaborate with agencies like the RCSC, Druk Holding and Investments and the Ministry of Labor and Human Resources to deal with complaints that are administrative in nature. The administrative complaints include lack of transparency and maladministration. Lhuentse MP Tempa Dorji said they are not saying such an office is not important. “What usually happens is that every time there are problems, we look to set up new offices to address the issue. We need to assess the benefits of such offices,” he added. On the contrary, the National Assembly supported the proposal for an Ombudsman’s Office and decided that the ACC and the Good Governance Committee will carry out feasibility studies to establish one in the country. The National Assembly discussed the matter on May 19. Apart from discussions on Ombudsman Office, the National Council recommended the ACC to review and streamline inconsistencies in handling seized immovable and movable properties. 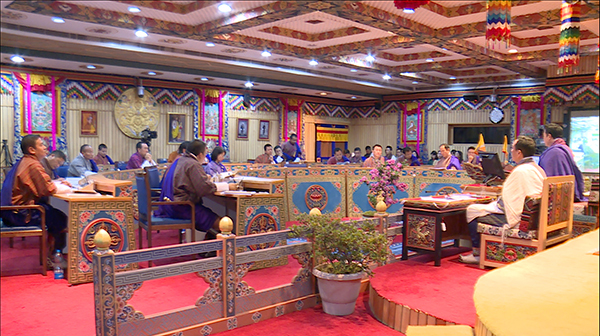 The National Council also decided to discuss the requirement of an Impeachment Bill for the constitutional post holders in the next session.